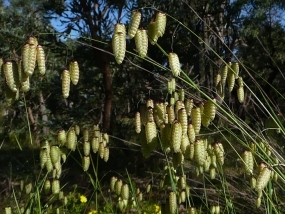 Meaning of name: Briza is Greek for rye-grass. Maxima is from the Latin word maximus meaning very large. 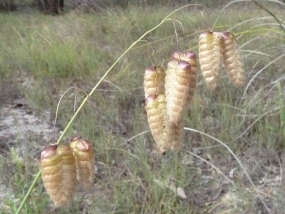 Distribution: Occurs from Geraldton to Esperance. Remarks: An annual to 60 centimetres tall. Flowers during September and October. 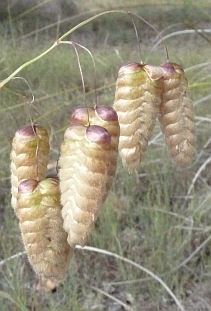 Native to the Mediterranean region. Western Australian Plant Names and their Meanings, a Glossary. FA Sharp. 1996. 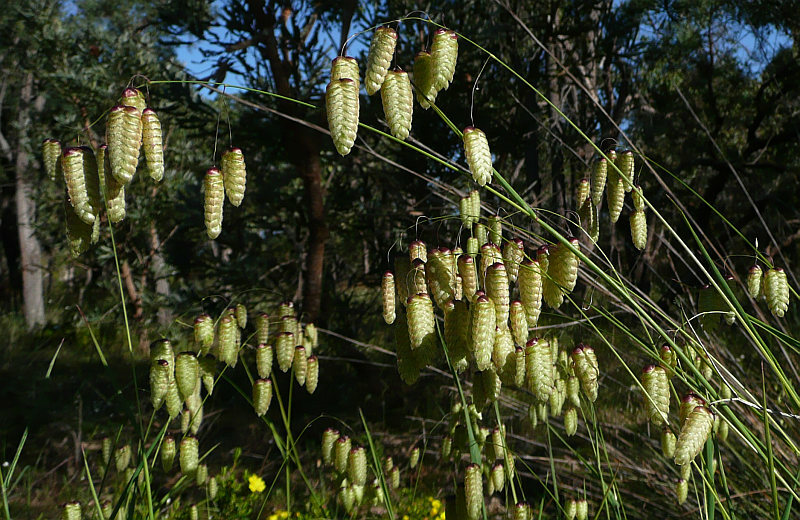 Description and key to the identification of Grasses in South-Western Australia. JG Paterson. 1992.